Hort Americas is an innovative leader in North America’s controlled environment agriculture industry (CEA). Hort Americas strives to innovate agriculture via premium technical support, professional salesmanship, unmatched customer service and outstanding products to our customers in the United States, Canada, Mexico and the Caribbean. In our efforts to fuel progress in CEA we are proud to release Hort Americas Hydroponic Fertilizer. Hort Americas has developed this unique fertilizer in cooperation with CEA hydroponic specialists, academicians and researchers to meet the nutritional needs of crops produced by hydroponic leafy green growers. Download the heavy metals statement here. 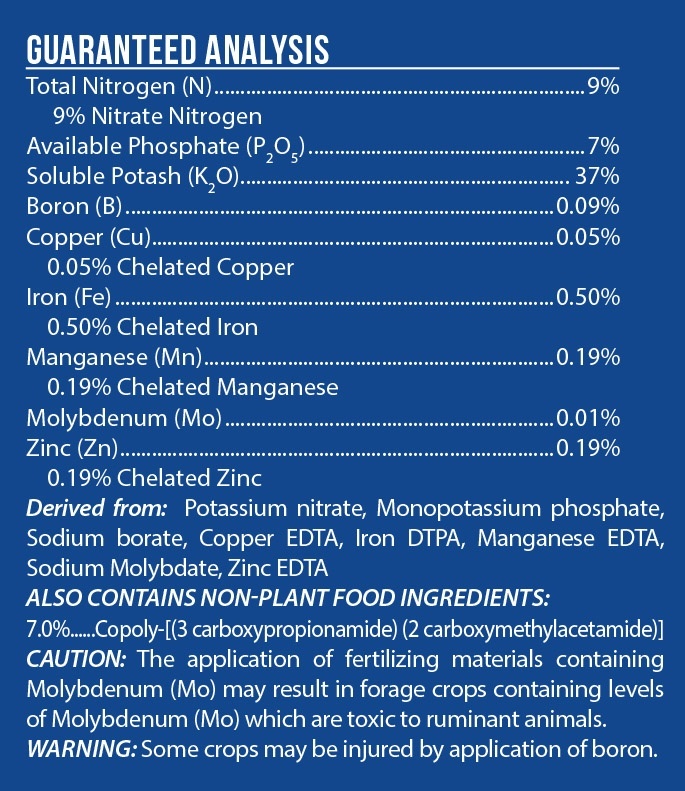 CAUTION: The application of fertilizing materials containing Molybdenum (Mo) may result in forage crops containing levels of Molybdenum (Mo) which are toxic to ruminant animals. Warning: Some crops may be injured by application of boron. Hort Americas Hydroponic Fertilizer is specially formulated for growing leafy greens, culinary herbs, microgreens and other crops in a hydroponic system. Hort Americas has designed this water soluble fertilizer to deliver the essential nutrients for efficient uptake by the root system. It can be used as a constant feed or as a supplement. Hort Americas recommends that the grower have their source water tested by a professional water analysis laboratory to determine the nutrients, pH, EC and total alkalinity of your source water. Supplement with 3.58 grams/gallon of Calcium Nitrate and 1.67 grams/gallon of Magnesium Sulfate. Maintain a pH between 5.4 and 5.8 with an EC of 1.5 mS/cm once the cotyledons have fully expanded. Contact Hort Americas for more details and our crop production guides.